The V2 Pro Series 3 is an innovative 3-in-1 vaporizer that works with e-liquid, dry herbs and essential oils. It’s definitely one of the most flexible units on the market right now and a big step forward for V2 Cigs, a reputable e-cigarette company well known for its excellent quality cigalikes. The new V2 Pro is also one of the most stylish vaporizers money can buy, but is it really any competition for the plethora of second generation e-cigarettes available these days? Let’s find out. 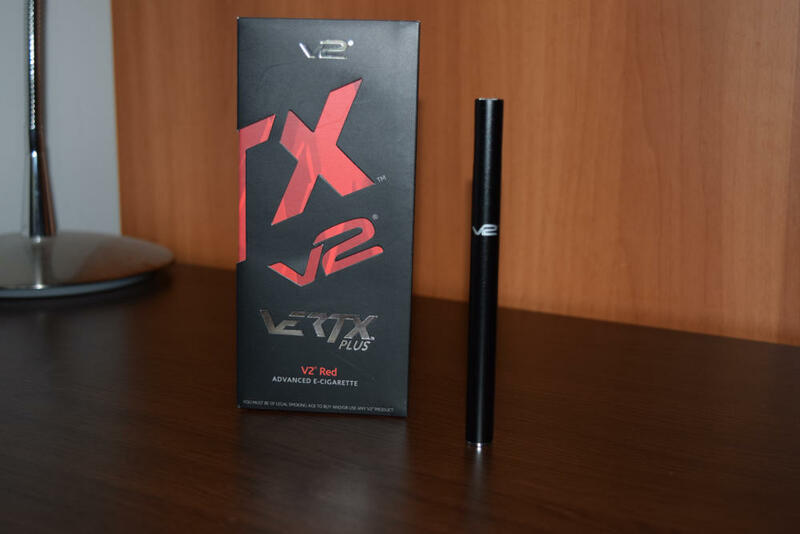 When I reviewed the classic V2 Cigs electronic cigarette, one of the things that impressed me the most was the impeccable packaging. Even the standard starter kit came in a large cardboard box with every little accessory neatly placed in its designated compartment. It definitely made a big impression even before I got a chance to try out the e-cigs. 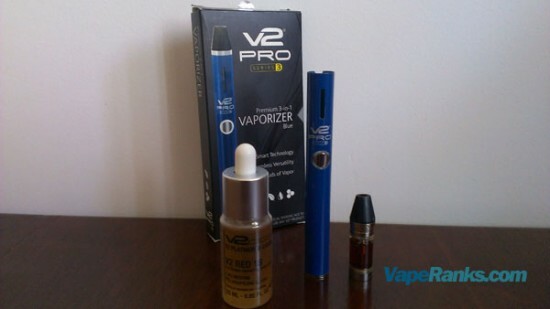 The V2 Pro Series 3, on the other hand, comes in a very small thin cardboard box that barely fits the plastic holder for the vaporizer and the only included accessory – a magnetic charger. At first, I thought it doesn’t even come with a user manual, but I later found it tucked in under the plastic holder so it would fit inside. While the packaging doesn’t influence the performance of the vaporizer, I was surprised about the minimalist approach V2 Cigs went for. Perhaps they just decided to cost costs in this department to invest more in the actual device. 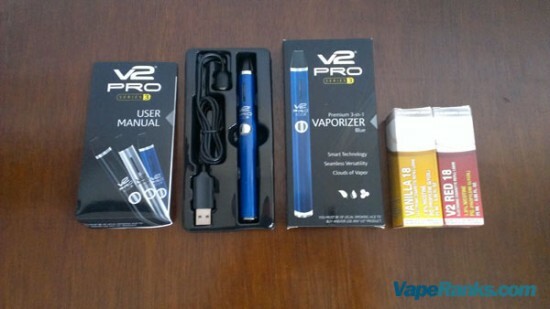 The V2 Pro Series 3 starter kit is as basic as they come – you have the vaporizer, a USB charger and user manual. 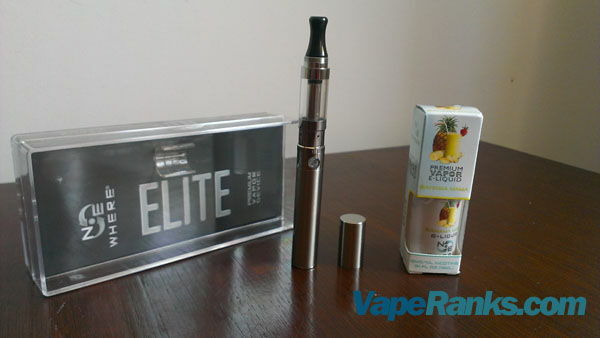 The e-liquid and other accessories need to be ordered separately. That’s not a problem for veteran vapers, as we always bottles of juice stocked up, but unsuspecting beginners could end up with a shiny looking vaporizer that’s virtually unusable. Again, not a huge issue, but I find offering a complete ready-to-vape package is always the best option even if you need to bump up the price. The device itself has a minimalist design, which I for one fell in love with, but make no mistake, there is a lot more to the V2 Pro than meets the eye. For starters, it can accommodate three different types of proprietary V2 cartridges, for e-liquid, dry herbs and essential oils. The Series 3 recognizes each magnetic cartridge the moment you snap it into place and changes operating mode automatically. That alone says a lot about the level of innovation that went into this thing. The V2 Pro Series 3 features a unibody design with a 650 mAh battery encased in a metal cover. Considering the starter kit only includes one vaporizer, 650 mAh capacity isn’t very impressive. It might last a casual vaper a whole day, but for advanced users it’s definitely going to be a problem. Charging takes about an hour and a half so unless you have another electronic cigarette on hand, you’re left staring at the LED tip of the device waiting for it to turn green. It’s not all bad though, as the magnetic USB charger has a long cord that turns the V2 Pro into a passthrough, allowing you to vape while it is charging. Like any manual vaporizer, the V2 Pro Series 3 is activated with a push of a button, which in this case sits flush in the middle of the device. 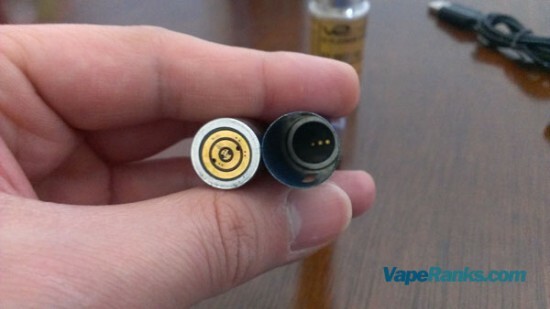 Pressing the button will power up the battery and vaporize the e-liquid. The cutoff time of the battery is 10 seconds, so there’s no danger of it shutting down during the draw. Pressing the activation button 3 times within two seconds will shut down the battery to prevent accidental activation. Just repeat the procedure when you need to use it again and it will power on. 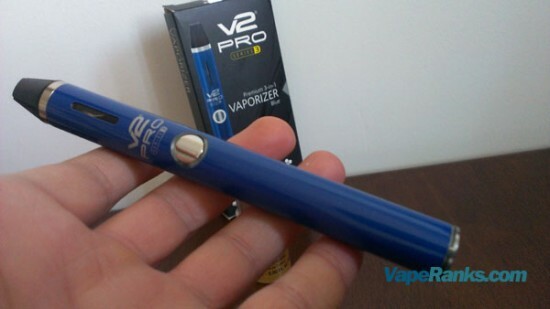 Performance-wise the V2 Pro Series 3 is comparable to an eGo-style electronic cigarette. It’s clearly a much better device than the cigalike I started vaping with, but not quite as good as today’s mods. I realize this can be a deceiving comparison, as the V2 Pro is much more than just a simple electronic cigarette, but I’m speaking only about its e-liquid vaping capabilities here. 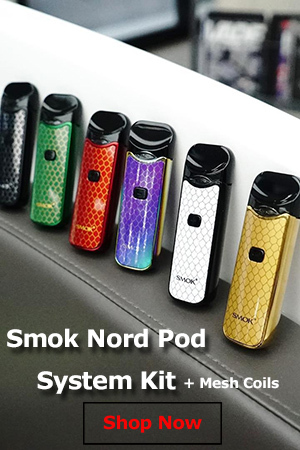 There are a lot of things to consider when buying an electronic cigarette, but vapor production seems to be the most important factor for the majority of vapers. In this department, the V2 Pro Series 3 vaporizer performs admirably, especially considering its size and relatively small price. This is basically a vape pen with added functionality, so it’s only fair to compare it with similar size and power devices. Again, I have to say it’s very similar to the eGo. It performs consistently, producing decent plumes of warm vapor with each draw. Although the plastic mouth piece on the V2 Pro cartridges feature a wide air hole similar to that of the Kanger EVOD BCC clearomizer, the draw is much tighter. However, considering the long 10-second cutoff time of the Series 3, I think the tight draw was an intentionally added feature in order to offer user a vaping experience similar to smoking. After all that’s what most ex-smokers are looking for. Taking into account the size of the V2 Pro Series 3 and the fact that V2 Cigs e-liquid – both the classic and the new Platinum variety – are PG-based, I have to say vapor production was above average. My V2 Pro Series 3 vaporizer came with two bottles of the same e-liquid that I talked about in my review of the classic V2 Cigs e-cigarette, so you can check that out if you want to learn more about it. It’s worth mentioning that V2 Cigs seems to have changed their e-liquid line recently. The flavors are the same but the packaging has received an upgrade. I can’t comment on the taste of the new Platinum juice, as I haven’t tried it yet. What really makes the V2 Pro vaporizer truly special is its flexibility. It’s a 3-in-1 device that features three different types of cartridges, for e-liquid, dry herbs and essential oils. At this time only the first two are available for purchase, with the essential oils cartridges scheduled to be released early 2015. Apparently, it will also work with waxes and nicotine gels. The V2 Pro Series 3 starter kit only includes an e-liquid cartridge, so if you want to use it as a dry herb vaporizer you have to buy the cartridge separately ($24.99). Instead of the usual threaded cartridges, the V2 Pro Series 3 works with magnetic drop-in attachments that snap into place as soon as you slide them into the metal tube. Each of the three cartridges has a slightly different pattern in the contact patterns on the bottom, which let the device know what you are using and adjust its operating mode accordingly. This proprietary system is very intuitive, but it also means that you can only use V2 accessories with your vaporizer. They are certainly not the only company to do this, but at least they actually offer something unique that your can’t find anywhere else. The e-liquid cartridge can hold up to 1.6 ml, which is a lot more than you get from cartomizers – even the extra-large ones – but it’s not exactly “immense cartridge capacity”, as described on the official V2 Cigs website. It’s probably more than enough for beginners and casual vapers, but ex-heavy smokers will probably need a refill several times a day. Otherwise, the top-wick clearomizer produces warm vapor that’s bound to appeal to former smokers looking for a similar experience, and most importantly, never leaks. If you’ve ever had problems with leaking cartridges, you know what a pain it can be. The V2 Pro Series 3 illustrates just how far vaping has evolved in less than a decade, and how important technological innovation is for the industry. It may not be the best electronic cigarette on the market right now, but in terms of functionality there is literally nothing else like it. Despite its shortcomings – relatively low battery life, accessory compatibility – at a price of $69.99 its 3-in-1 functionality simply makes the V2 Pro a must buy. 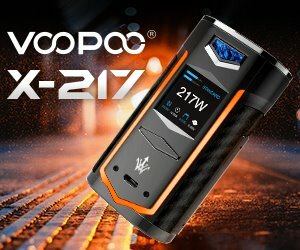 If you’re still not convinced that the V2 Pro Series 3 is worth it, keep an eye on the V2 Cigs website, as they have already announced the Series 7 and Series 9 vaporizers will be launched in 2015. Judging by the revealed specs, these new devices build on the innovation of the Series 3, offering improved battery life, extra features and more power. I ordered their V2 Pro Series 3 and loose leaf cartridge back on February 6th of this year. They shipped me the basic unit without the loose leaf cartridge because apparently it was on backorder. No mention of this on the paperwork shipped with my product. The only indication of anything was them using a blue highlighter over the loose leaf cartridge listed on my packing list. When I called and waited 20 minutes to talk to someone they told me it was on backorder (because notifying me with what they shipped would have been too hard) for 15 business days. In case you’re wondering what 15 business days is it’s 3 weeks. But 15 business days sounds a lot sooner right? Well here we are after 20+ business days (over a month now) and I still don’t have the cartridge. This is my first experience with this company and it will be my last. I have had my V2 Pro 3 for just over a week and it leaks. I consider it useless because of the leaking. clearly defective a case of defective battery. You should send it back and ask for a new one or your money back. I don’t care how many other pens v2 comes out with, my Series3 is by far my favorite. Since they started selling other juices, I’ve been able to try a few, but I always come back to the V2 Vanilla. This pen lasts forever and so do the carts. I’ve never had a single issue with it and I love it. By far the best value out there!! I tried the ego and another brand I got from a vape shop downtown and I didn’t really like either of them. Plus they were both way more expensive then V2 and the one I got downtown wouldn’t hold a charge after the first day. Yeah, I’ve had a few bum carts and once I needed a new charging cord for my Series 3 pen, but every time I had a problem customer service was great about helping me. I’m sticking with V2!!!! I would not buy the V2 Pro 7 . Many cartridges leak. Each cartridge is $$16 including tax, and what’s the point if it leaks? You lose precious liquid. Customer service doesn’t agree to refund the full amount. They give you 70% off for a leaking cartridge, and make you buy more from them. Try cheaper alternatives from local stores. At least you can return safely if they’re not working. I had this one for a year and I lost it. Luckily I found a new one under the Christmas tree 🙂 I was excited to use it again that I almost gave myself a headache hahah. I also got some vapour2 eliquids for Christmas. Lots of them actually…can’t wait to vape them all. I am active user of Vapour2 brand. First i purchased starter kit for my wife and later series3 for myself. Got it mostly for its compatibility. The pen has good size and it is made with simplicity. Love that magnetic charger and cartridges. Produces good cloud and battery has good life.